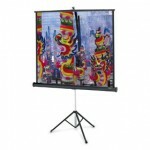 Professional projection screen on a tripod with integrated OHP bracket with a length of 30 cm. The Professional has a stable tripod made from square tubing. Special transport lock shields the screen fabric from damage. 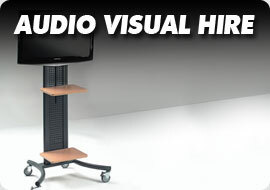 Easy-to-operate handle for adjusting height and aspect ratios. Electrical projection screen of professional quality, available in all popular aspect ratios and with various screen surfaces. Available with built-in radio frequency module, making it possible to operate the screen using the remote control supplied. The possibilities offered by Easy Install Plug and Play make connecting the screen fast and easy. The many Easy Install accessories are convenient and fast to use. The automatic stop employed when extending and retracting the projection screen surface guarantees a long life span. 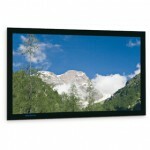 Luxurious, high quality fixed frame screen with a beveled edge. The aluminium frame of the PermScreen Deluxe features a black velvet cover, which eliminates reflection and serves to absorb projected light. The projection screen surface is attached to the rear of the screen by snaps. The broad frame (7.5 cm wide and 4.4 cm deep) curves inwards, reducing shadowing in the viewing area. 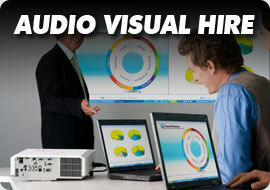 The projection surface is extremely flat, making it suitable for all types of data and video projection. 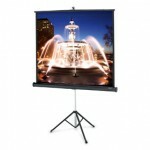 Projection screen on a tripod. The ProView has a stable tripod made from square tubing. 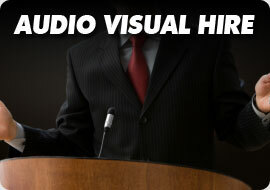 Lightweight portable projection screen in video format. The case is made of aluminium with a subtle titanium-coloured finish. The flexible pneumatic tensioning arm makes it possible for the height to be adjusted infinitely and flexibly. 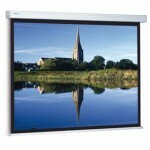 Supplied with an extra black lower border as standard for adjusting to the ideal viewing height. 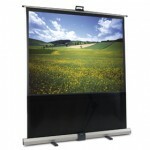 The LiteScreen has two feet which are folded out when setting up and give it stability. The case is made of aluminium with a subtle titanium-coloured finish.